Will Apple's Magic Mouse Magically Erase the Past? 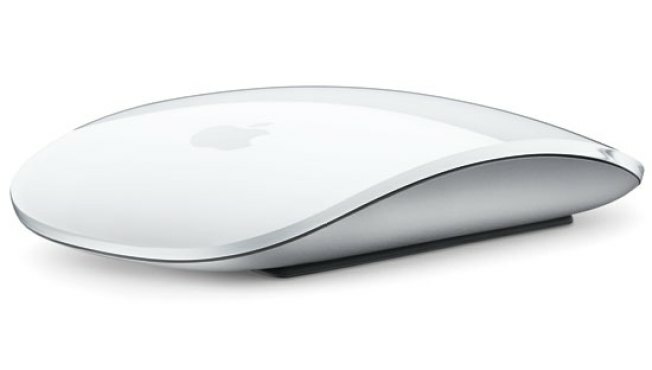 Will Apple's magic mouse change the way you surf the web? We've always hated Apple's mice. It took them way too long to integrate secondary buttons and scroll wheels, and when they finally came out with a mouse with those features (the ironically named Mighty Mouse) it was an overdesigned, unwieldy product that was difficult to clean. So now that Apple has unveiled Mighty Mouse's successor, the Magic Mouse, we approach it with a mix of enthusiasm and skepticism. The Magic Mouse is definitely something different, bringing the iPhone's multi-touch capability to the mouse. Now you simply slide your finger along the mouse to perform various actions — vertically to scroll (it can supposedly read the momentum of your finger for faster or slower scrolling) or horizontally to, say, browse through tabs in Safari or pictures in iPhoto. That's pretty cool, and it eliminates one of the big problems in the Mighty Mouse: the scrollwheel, which would invariably get gunked up quickly. The flatter design appears more finger-friendly, too, looking a little more like gaming mice from brands like Razer. It pairs to your Mac (Leopard or later) via Bluetooth and is powered by a pair of AA batteries. It's on sale today for $69 — a decent price that may even bring skeptics like us back. What do you think?